With over 250 museums in Los Angeles, deciding which museums to visit can be overwhelming and exhausting. While there are many amazing museums in Los Angeles, we've chosen the best of each type of museum from Art to Science in order to narrow down which ones might interest you. The Los Angeles County Museum of Art on Museum Row on the Miracle Mile is the most encyclopedic art museum in Southern California with everything from ancient to modern art, from all corners of the globe. If you really love art, the city has a wealth of great art museums. The La Brea Tar Pits in Los Angeles is one of the world's greatest sources of Ice Age fossils and the on-site George C. Page Museum is unique in housing the largest collection of fossils recovered from the site. You can also view scientists at work in the excavation pits and in the museum's "fishbowl" lab. The Page Museum is part of the Natural History Museum of Los Angeles County, whose main facility is at Exposition Park, which is actually a much bigger and better history museum overall but doesn't have the distinction that its entire exhibit was dug up on site. More Los Angeles History Museums from the history of the planet to the history of local cities, neighborhoods, and houses. Most LA museums include special programs for children, but of the dedicated LA children's museums, Kidspace in Pasadena is a gem. With indoor and outdoor learning and play environments, kids have so much fun they don't even realize they are learning. The California Science Center in Exposition Park is a great museum for both kids and adults, with high-quality permanent exhibits and world-class traveling exhibits. There are always simple and fun activities for youngsters and more advanced endeavors to keep adults interested. It is the home to the Space Shuttle Endeavour. This being Hollywood and all, there are plenty of museums and exhibits interpreting the history and culture of various facets of the entertainment industry from the tiny Hollywood Heritage Museum to the video-centric Paley Center for Media, but the Hollywood Museum in the historic Max Factor Building near Hollywood & Highland is the richest glimpse into Hollywood movie history. From its restored hair-color-themed makeup rooms to the collection of movie sets and memorabilia, including an extensive Marilyn Monroe exhibit, this is the entertainment museum not to miss. Ship and Maritime Museums in LA range from military vessels to tall ships, but the Queen Mary in Long Beach wins this category due to its interpretive exhibits on its life as a cruise ship and military transport and the variety of tours available on different themes, as well as the other opportunities for dining, shopping and staying aboard the ship. You can also visit the Russian foxtrot submarine Scorpion at the same location. The GRAMMY Museum at L.A. LIVE presents the history and progression of American music as well as the technology involved in creating and recording music, and the history and highlights of the GRAMMY Awards. You can also check out the GRAMMY Walk of Fame on the pavement around L.A. Live. Among the many air and space museums in Los Angeles, The Griffith Observatory in Griffith Park is the most popular. It contains exhibits on planets, stars and the exploration of space, as well as multiple super-powered telescopes for day and night viewing. There's also a planetarium show and super views of the Downtown LA skyline and the Hollywood Sign. There are many architectural landmarks in Los Angeles, some of which can be visited as museums. In addition to its sheer, exotic presence sailing down Grand Avenue in Downtown LA, the Walt Disney Concert Hall has multiple ways to tour and learn about the architecture as well as the added attraction that you can climb all over it. As a car-centric city, it's not too surprising that the LA area has a number of excellent auto museums. The top of the crop is the Petersen Automotive Museum, which got a complete makeover in 2015, making both it's exterior and interior much more exciting. It's one of my all-time favorite museums in Los Angeles and I'm not even a car person. For a city with such limited train service, Los Angeles has a lot of train museums and attractions. The Orange Empire Railway Museum is bigger and has a lot more going on, but it's over an hour from LA, so my top pick actually in town is Travel Town at Griffith Park, where you can get a close-up look at some real trains and even climb on a couple of them. There's also a train ride on site and the LA Live Steamers next door. In addition to Entertainment Museums where you actually learn something about the industry and its history, there are a number of pop culture museums in LA that are just collections of curiosities to look at and point and not really learn much of anything. They're great for people who really don't like museums. The best of those is Madame Tussauds wax museum, where at least you can get up close and take your souvenir selfie with your favorite celebrities. The California African American Museum uses art and artifacts to trace the African American history and experience in the west. What makes the best military history museum depends on what part of military history you're interested in since we have museums dedicated to military aircraft, battleships and an Army fort, as well as museums that deal with the Revolutionary War, the Civil War, WWII and the Cold War. We even have a Museum of Martial Arts history. But for their nearly 200 military vehicles, from tanks to amphibious vehicles and bomb loaders, I put the American Military Museum, also know as Tankland, on the top of the list. 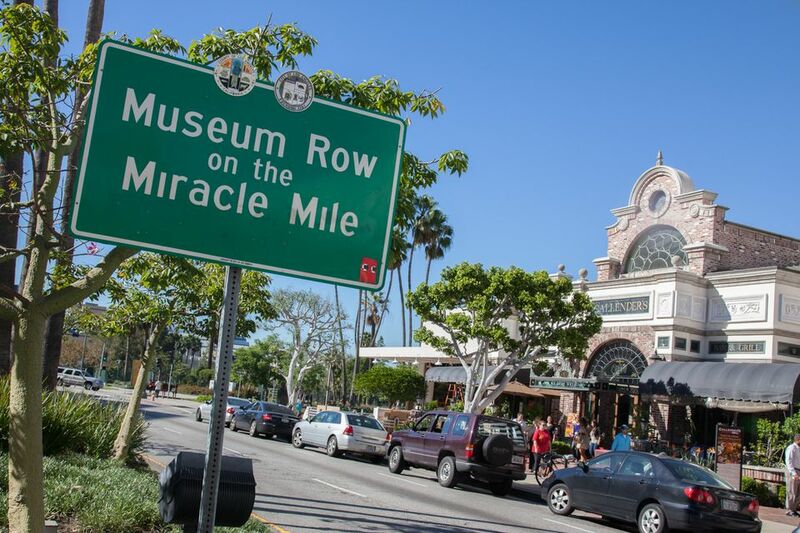 Los Angeles has a plethora of unusual museums from a museum of death to a museum of bunnies. The best, if not the most unique on my unusual list is the Museum of Neon Art in Glendale, whose collection consists of both traditional and quirky neon art, including a variety of R-rated neon pieces.